This summer, the Berkshire Museum once again brought the GSK Science in the Summer™ program to students in Berkshire County. In July and August, Berkshire Museum educators taught the Science of Space to students at Morningside, Crosby, and Conte Schools in Pittsfield, and Muddy Brook Elementary in Great Barrington, in addition to open-enrollment sessions at various libraries and community centers in the area. 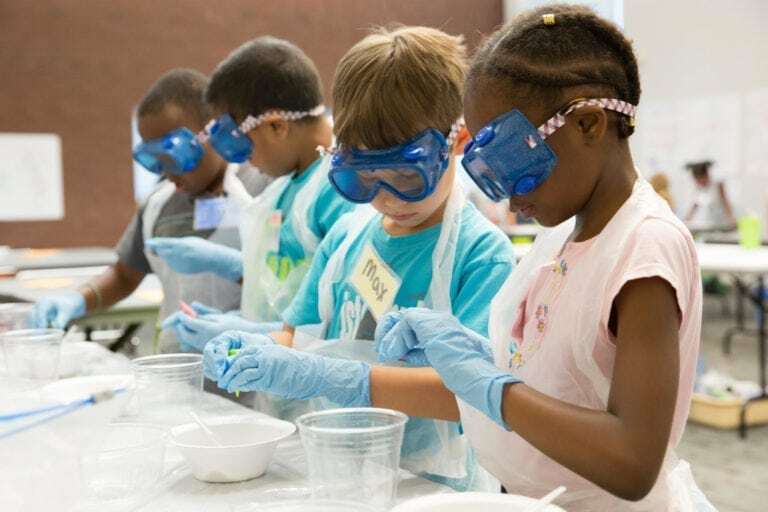 This summer, thousands of students across the country learned about the sun and the stars, Earth’s moon, space travel and more during the 32nd year of GSK Science in the Summer™. Through active, hands-on learning, elementary school students in second through sixth grades learned that, through knowledge, education and hard work, worlds beyond ours are reachable – all while they learned the basic STEM skills that will prepare them for academic and professional success.